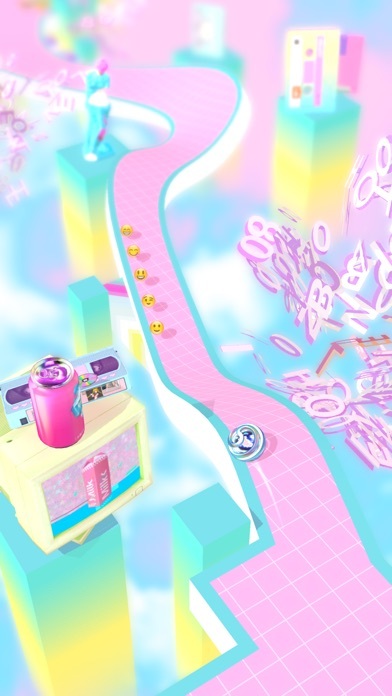 Trip through the Vaporwave and do the Exit – MΔRBLΘID is a 3D marble runner like no other! Play the restless mind of an entrepreneur, captured in a magic marble, on its journey to the ultimate goal: The Exit! 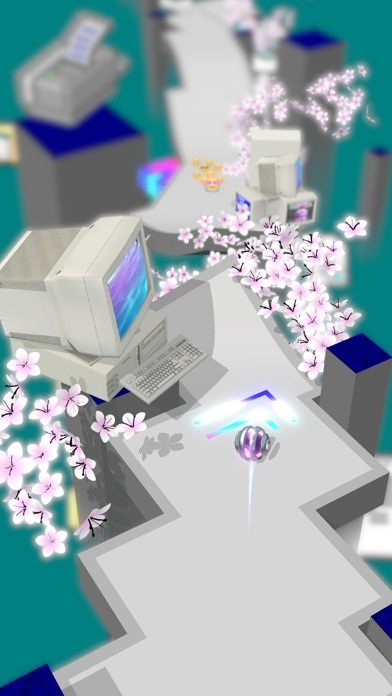 Features: • Casual Core – Enjoy this chilled as well as thrilling marble gaming experience. 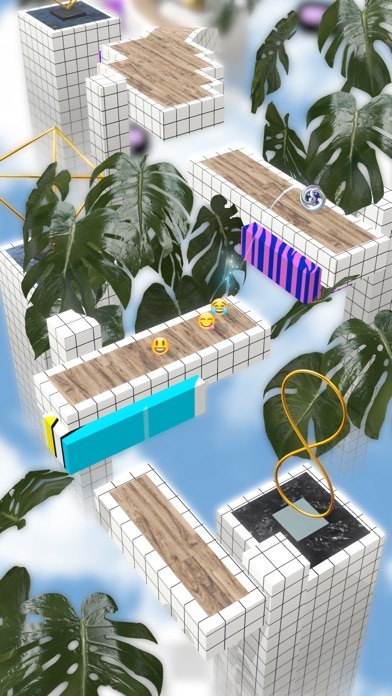 Explore and master the procedural levels filled with downhills, rhythmic jump sections, powerful speed pads, chilling rails, portals and more to discover. 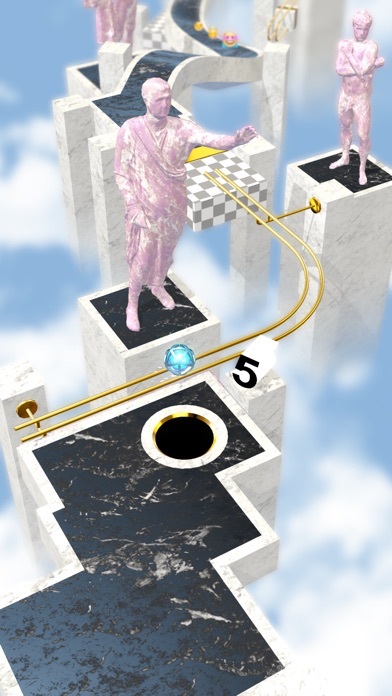 • Tilt & Tap – This is true mobile gaming: Tilt to steer and tap to jump. The input design is simple, intuitive and precise. Play single handed in portrait mode. 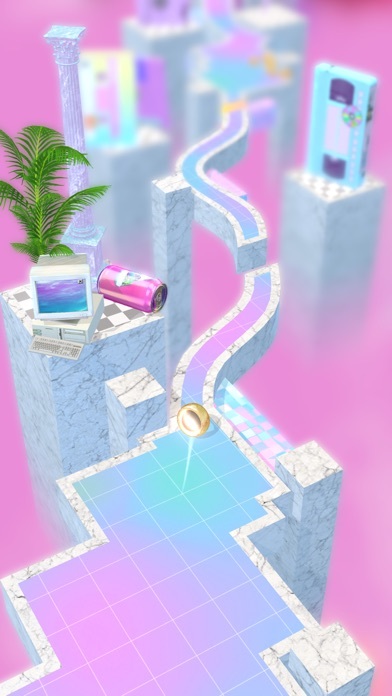 • ＶＡＰＯＲＷＡＶＥ　ＡＥＳＴＨＥＴＩＣＳ – Travel through six different worlds inspired by Greek busts, 90s tech companies, holograms and dolphins. Listen to the original interactive soundtrack composed by Donovan Hikaru & Eyeliner aka. Disasteradio. Headphones recommended! • To the moon – Feel the thrill of an entrepreneur starting up. Accumulate one billion points to beat the game. Play save or go all in to grow your multiplier for an even bigger yield – Do you take the risk? 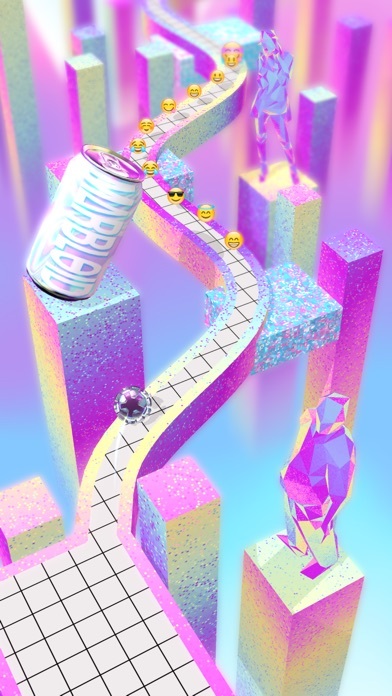 • Invest and grow – Collect emojis to upgrade your power-ups and unlock unique marbles with custom perks. 30 ranks with exciting missions will keep you busy for weeks. • Play premium – Marbloid is a premium game with no ads, in app purchases or annoying push messages. Buy once and play forever. Marbloid is a Universal App: Play on your iPhone and iPad and sync your progress via iCloud.